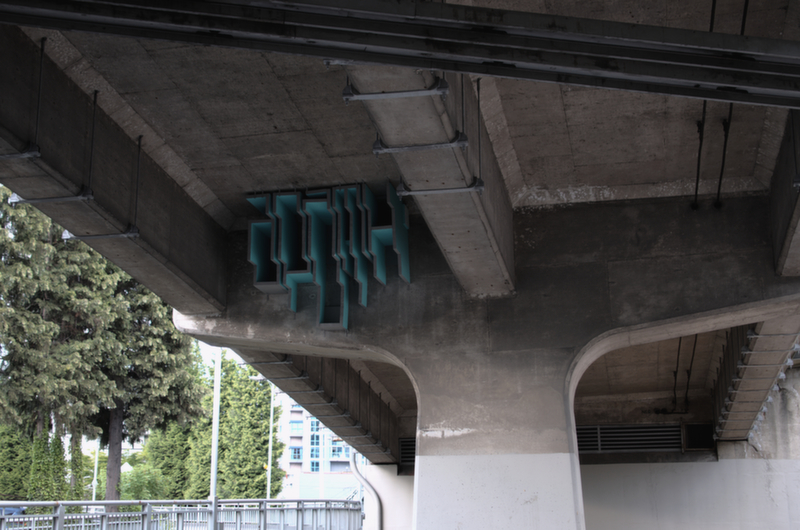 A new piece of public art has been spotted in Vancouver, attached under the Granville Street Bridge on Pacific Avenue at the bottom of the Seymour Street turnoff. This new piece is titled “What is graffiti really?” and we believe is made to question the grey area between what is considered graffiti art and what is just vandalism. The sculpture spells out the word “Apath” in an abstract way. Depending on the observer’s point of view, the appearance of the 3D installation will change but the meaning behind it stays the same. Graffiti is traditionally only viewed as vandalism and is commonly frowned upon by the general public. But there is a fundamental difference between street art and graffiti, which is commonly regarded as vandalism. Both are subversive forms of art displayed in public settings. On one hand, we have graffiti artists who generally speaking are not interested in a public understanding of their work; their work is mostly for other graffiti artists to see. On the other hand, we have street artists who are trying to make a statement through their work and are looking for public engagement. 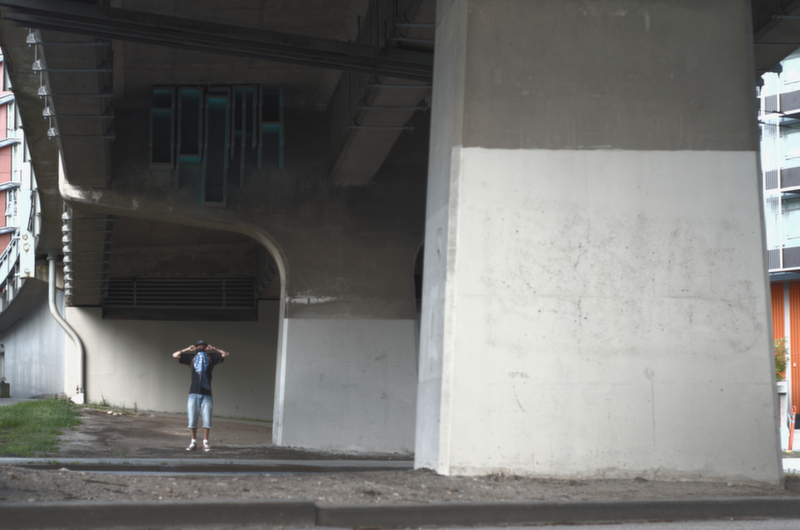 Apath is taking street art to the next level with his newest art installation under the Granville St. Bridge, raising the question: can there be a respectable form of art regarded as graffiti? Graffiti isn’t always vandalism and vandalism isn’t always graffiti. Yet this public form of art has adopted a negative connotation and its artistic aspects are commonly disregarded. We believe Apath is trying to address this by taking his work a step further and creating his art into well thought out pieces that are in essence both fine art and graffiti.